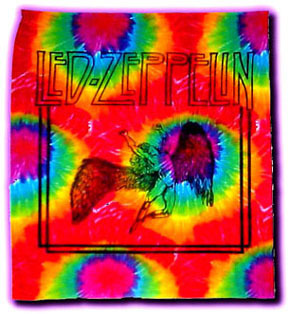 This tie dye Led Zeppelin tapestry would look great on any wall. It's a licensed silk screen design that is a giant 40" x 45". A great tapestry for any Led Zeppelin fan.